Another spellbinding international thriller from one of Amazon's bestselling authors. This first mesmerizing book in the MALIVIZIATI SERIES is a riveting look into a world where the Illuminati and the Maliviziati confront each other. So you think a DRONE attack on American soil will never happen? Then ask yourself one simple question. What or who would ever prevent such an attack? And couldn't this be the perfect way for someone to establish a one world order? Luckily there is one group that resist such a power grab, and it is lead by the strongest female ever bred for such a challenge--Matalina. society that opposes the Illuminati's various splinter groups that want to create a new world order. While she directs the most powerful special operatives in the world, she is very capable of going solo when needed. She was bred like her parents and theirs before to be the best warrior in the world. Unfortunately, her chosen mate, Bjorn, has turned against them, killing her sister in the process. She loved him earlier, and perhaps she still does. Still, when she finds him, she will kill him. 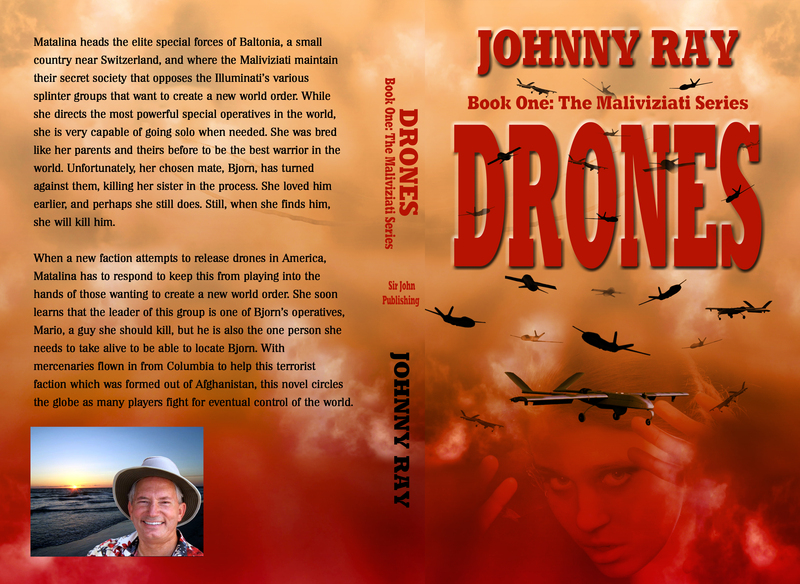 When a new faction attempts to release drones in America, Matalina has to respond to keep this from playing into the hands of those wanting to create a new world order. She soon learns that the leader of this group is one of Bjorn's operatives, Mario, a guy she should kill, but he is also the one person she needs to take alive to be able to locate Bjorn. With mercenaries flown in from Columbia to help this terrorist faction which was formed out of Afghanistan, this novel circles the globe as many players fight for eventual control of the world.